Nice. This looks great! But did you know that there's also a dental treatment called 'acid etching' where they make use of an acidic chemical substance to prepare the tooth enamel and or dentin surface to provide retention for bonding. 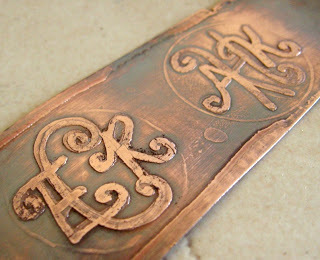 Do you happen to know if it's the same acid etching technique as what you did here? Hi, Mary. Thanks for your comment. Acid is used to etch or give "tooth" to many types of surfaces. Different acids are used, depending on the surface. I am not a dental professional, but I doubt something as toxic as ferric chloride is applied to teeth.